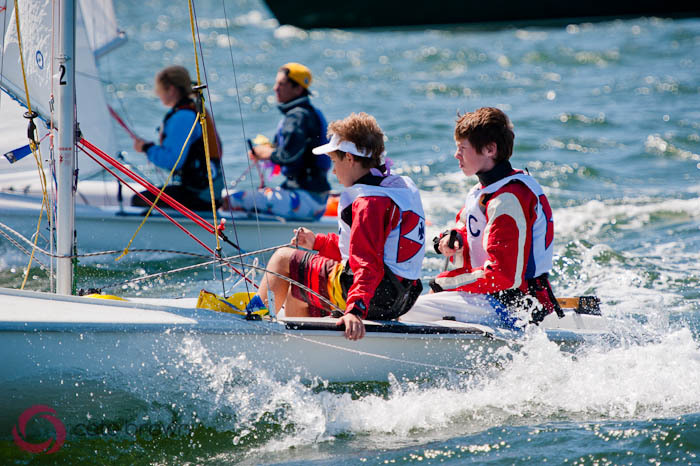 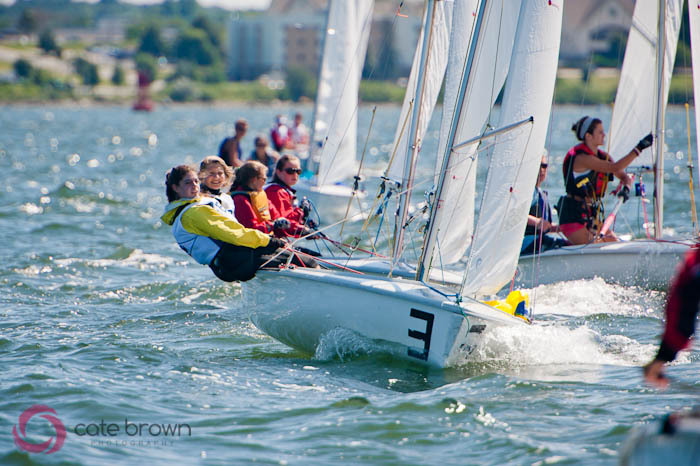 So the culmination of 8 weeks of junior sailing for those sailing on Narragansett Bay happens at Race Week, the NBYA Jr. Olympic Festival that incorporates Club 420s, Optis and Lasers into a three day sailing event! While day 1 was only half a day of racing this year, and day 2 there was no racing at all due to no wind, heavy fog, and thunderstorm threats, there was beautiful wind and sun for day 3 and I was out on the water to capture all the action! 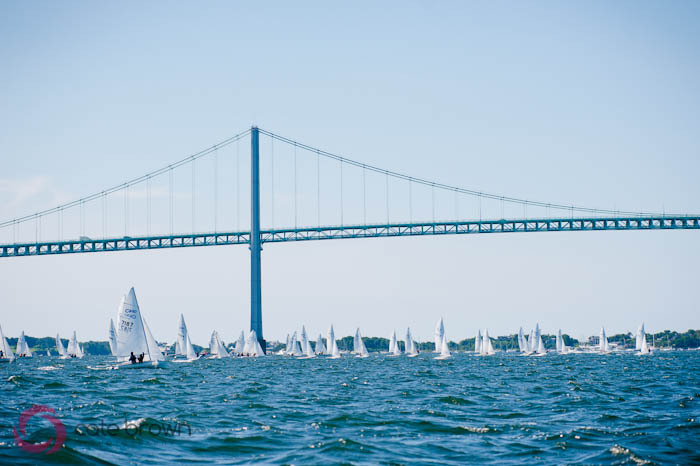 First stop was the Club 420 circle where the small Laser fleet was also competing. The wind started out of the northwest for the most part, shifting more west/southwest as the day went on. 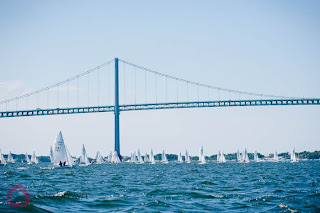 It just kept building and these sailors kept having more and more fun! 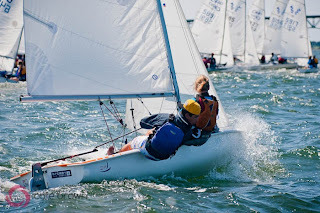 With about 50 entries and two divisions, I'm happy to report Wickford Sailing took home the win with a 1st in Division 1! 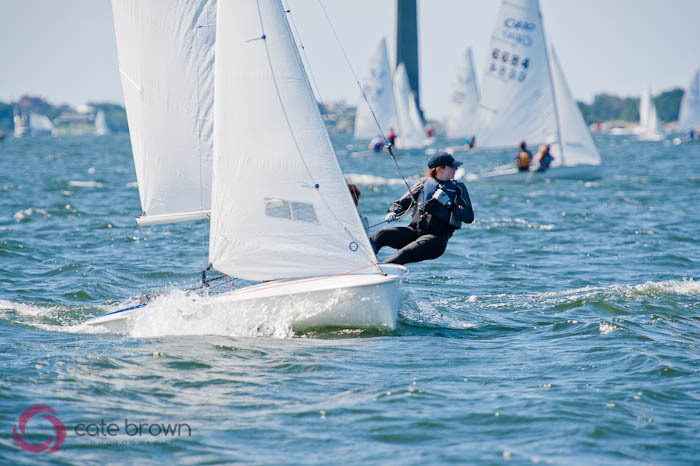 This plus the Wickford Sailing second place in 420s for the overall summer season felt pretty good coming from a small program. 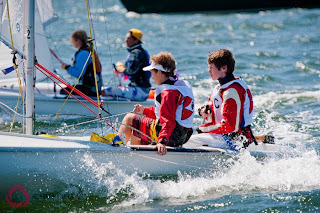 To check out the full gallery visit my website under NBYA Jr Race Week 2013!